This was the old OrientDB Blog, but it isn't maintained anymore. All the posts were moved to OrientDB Blog. London, UK – Orient Technologies (http://www.orientechnologies.com/) and Hazelcast (http://www.hazelcast.com) today announced that OrientDB has gained a multi-master replication feature powered by Hazelcast. Clustering multiple server nodes is the most significant feature of OrientDB 1.6. Databases can be replicated across heterogeneous server nodes in multi-master mode achieving the best of scalability and performance. “I think one of the added value of OrientDB against all the NoSQL products is the usage of Hazelcast while most of the others use Yahoo ZooKeeper to manage the cluster (discovery, split brain network, etc) and something else for the transport layer.” said Luca Garulli, CEO of Orient Technologies. “With ZooKeeper configuration is a nightmare, while Hazelcast let you to add OrientDB servers with ZERO configuration. This has been a big advantage for our clients and everything is much more ‘elastic’, specially when deployed on the Cloud. We’ve used Hazelcast not only for the auto-discovery, but also for the transport layer. Thanks to this new architecture all our clients can scale up horizontally by adding new servers without stopping or reconfigure the cluster”. Both Hazelcast and Orient Technologies are providing professional open source support to their respective projects under the Apache software license. Orient Technologies is the company behind the NoSQL project OrientDB, the Graph Database with a hybrid model taken from both the Document Database and Object Orientation worlds. OrientDB is FREE for any purpose even commercial because is released under the Apache2 License. 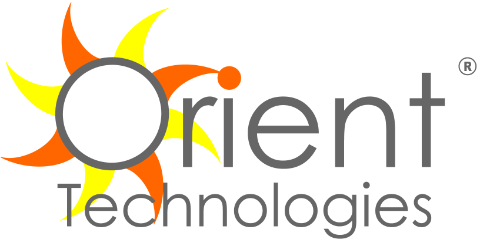 Orient Technologies offers commercial services against OrientDB for companies who want support, training and consulting. Hazelcast (www.hazelcast.com) develops, distributes and supports the leading open source in-memory data grid. The product, also called Hazelcast, is a free open source download under the Apache license that any developer can include in minutes to enable them to build elegantly simple mission-critical, transactional, and terascale in-memory applications. The company provides commercially licensed Enterprise editions, Hazelcast Management Console and professional open source training, development support and deployment support. The company is privately held and headquartered in Palo Alto, California. © Copyright Orient Technologies - 6 Dyer's Buildings, London EC1N 2JT, UK. Simple theme. Powered by Blogger.